Have a Safe & Happy Halloween from the District 10 Office! *Don't miss all the updates in District 10 Mid-October Newsletter! Be sure to check the sidebar for important upcoming events and other announcements! **Have you ever wondered how I voted on a particular issue or why I voted a certain way? 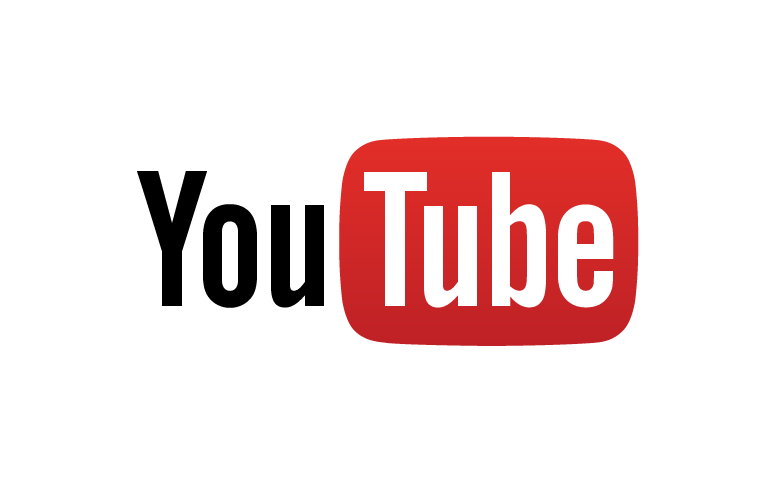 Visit My NEW You Tube Channel: Johnny Khamis on the Record! October is National Crime Prevention Month. With darkness coming earlier each night and the holidays approaching, it is a good time to raise community awareness of the steps we can take to stay safe and to help deter crime. Property crimes, such as burglaries, tend to rise in the winter months, and we want to ensure that people are prepared. With your help, the City and its partners can more quickly get encampments cleaned up and help to those in need! Will Local Gun Safety/Gun Control Laws be put in place in San Jose? Require gun owners to safely store firearms that are kept in the home in a locked container or disabled with a trigger lock. Require firearms stored in unattended vehicles to be secured in a mounted lock box. Require gun owners to report the loss or theft of a firearm within 48 hours of the time that the owners know, or reasonably should know, that a firearm is lost or stolen. Require ammunition vendors, within one year of the effective date of the ordinance, to keep records of ammunition sales data in the form of an electronic log. It is important that we have a fair and open discussion on this matter. Although I feel inclined to support the requirement to report the loss or theft of a firearm within 48 hours, I also would like to make sure that what Councilmember Kalra and Peralez are proposing is realistic, enforceable and does not criminalize law-abiding gun owners. Additionally, the City Council will need to consider the additional workload this would add to staff that is already working on our list of priorities such as Illegal Fireworks, Homelessness, Mobile Home Conversions, and Wage Theft. Lastly, I want to make sure we are not duplicating efforts that the state may already be working on. At this week’s Rules and Open Government Committee we were provided with reports from City staff – including the Chief of Police - on the amount of staff time and effort that would be required to create ordinances to implement these measures. The Rules Committee approved the staff report and sent the package of potential reforms to the full City Council after the November elections are concluded. For two of the items on the Kalra/Peralez memo, it was recommended that we wait to find out the outcome of the Proposition on the ballot before any further work commences. Regardless of how you feel on the issue, it is important for the City Council to hear your voice so we may take everything into consideration. Please attend the November 15th City Council meeting for more discussion around the four proposals. 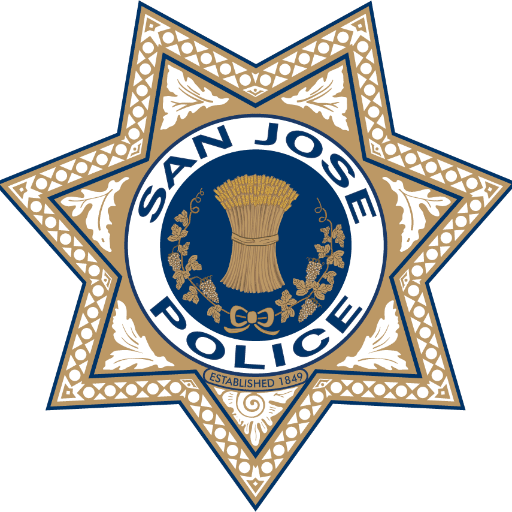 The meeting is held at San Jose City Hall, 200 E Santa Clara Street in downtown San Jose. Park beneath City Hall and take the orange elevator to the 2nd floor. Parking validation is available to your left upon entering the Council Chambers. If you fill out a yellow comment card, you will be given an opportunity to speak. Our Office Is Hiring Interns! Our district 10 office is currently recruiting high school and college level interns who are looking for experience in the political field. Many of my staff started their careers in my office or in other offices around the city as interns. An internship in this office is an exceptional way to compliment your education. Through your experience as an intern, you will build networking, communication, and analytical skills. 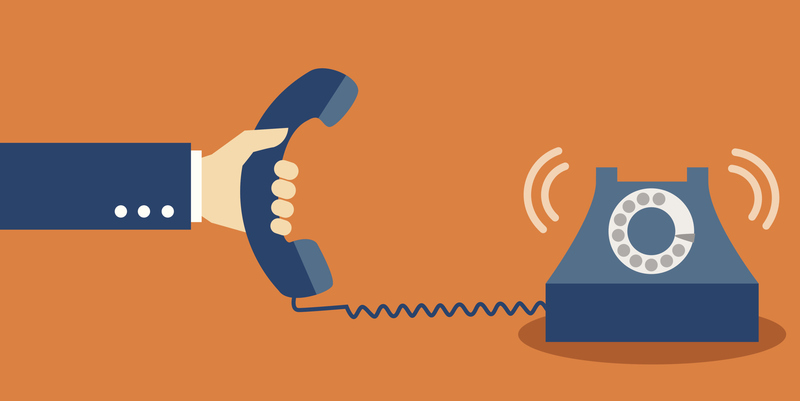 Interns are expected to be organized, to be well spoken, and to be able to hold a consistent schedule. 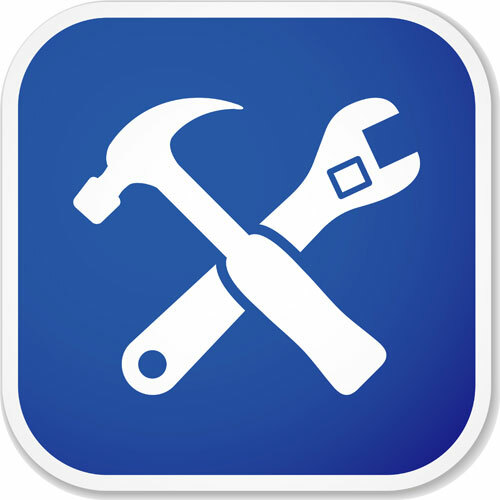 Common duties are research, calendar management, and grant preparation. Interns will also be expected to attend events to help with constituent outreach. The San Jose Youth Commission is a group of youth who come together to discuss city-wide issues facing young people and make policy recommendations to City Council. 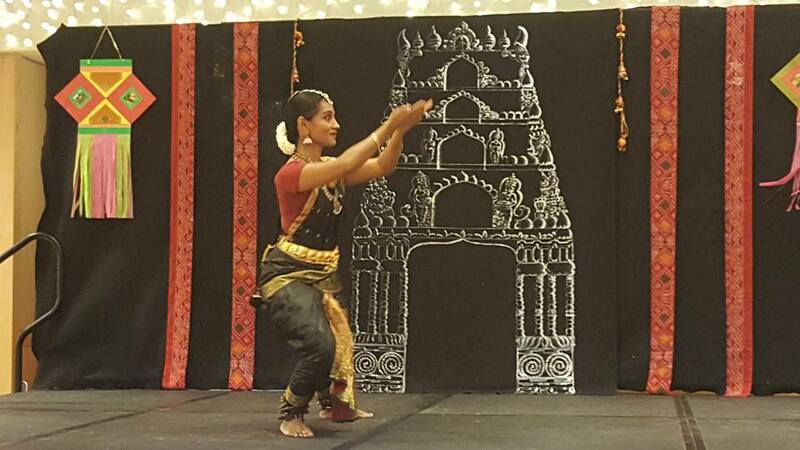 It includes 11 members, ten from each of their respective districts, and one City-wide member. Part of their job is to create a body of youth specific to their districts - a Youth Advisory Council. Samuel Hirst, the District 10 Youth Commissioner, is seeking to expand the Youth Advisory Council (YAC) for District 10. The YAC meets twice a month to discuss District-wide issues and potential solutions and plan events, with a focus on youth-related concerns. It is a great opportunity to start a career in public service, politics, or policy and earn community service hours. In order to be eligible, you must be 14-18 years of age and live in, or attend school in, District 10. If you are interested, please contact Samuel at s.hirst2019@gmail.com to find out more! Sunday Friends' Holiday Shopping Spree At Target! This holiday season, you can make it possible for very low-income children and parents to give gifts to their loved ones.Plan now to join Sunday Friends at the Holiday Shopping Spree of 2016. Bring your family, friends and colleagues to Target this November. This will be a truly fun and meaningful kick-off to your holiday season. 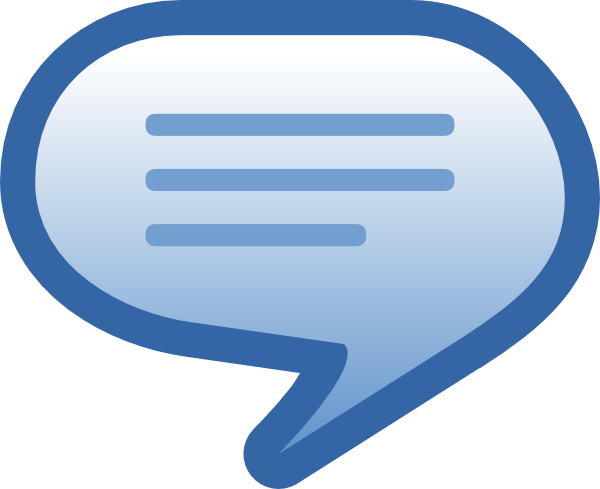 To ask questions or get on the Remind-Me-Later list: email HSS@sundayfriends.org. If you can't attend, you can become a Virtual Shopper. Donate some shopping dollars and designate shoppers to spend them (100%) at the event, as directed by you. Friends of the Almaden Library Book Sale! 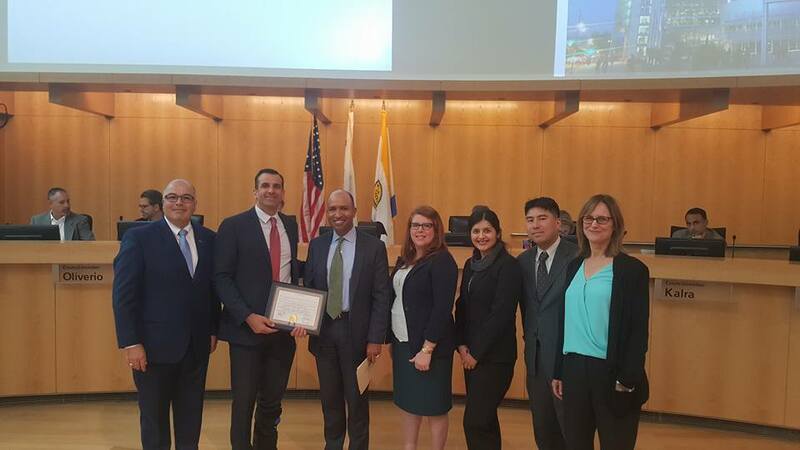 Visit the City of San Jose's Financial Transparency Portal! 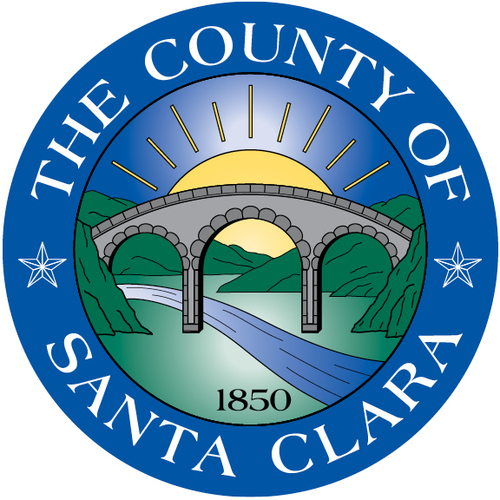 Read Santa Clara County Supervisor Mike Wasserman's Newsletter here! This week, I was thrilled to honor the tireless volunteers from the Mt. 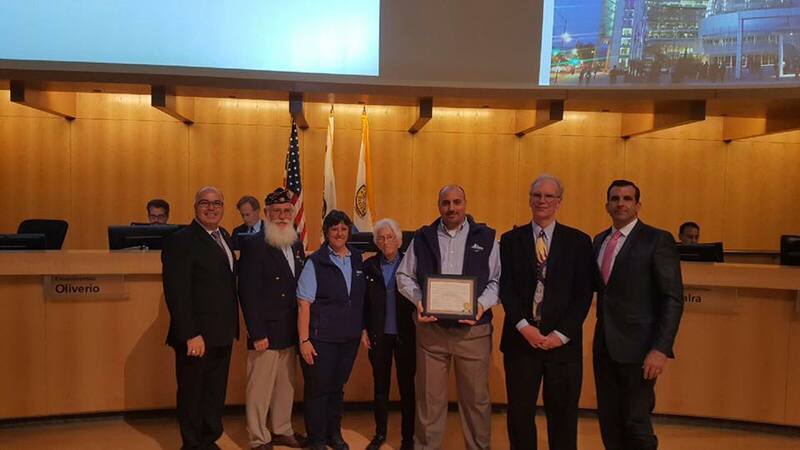 Umunhum Conservancy who have made great strides in preserving the radar tower that serves as a landmark for San Jose residents and represents an important part of the history of the Cold War. 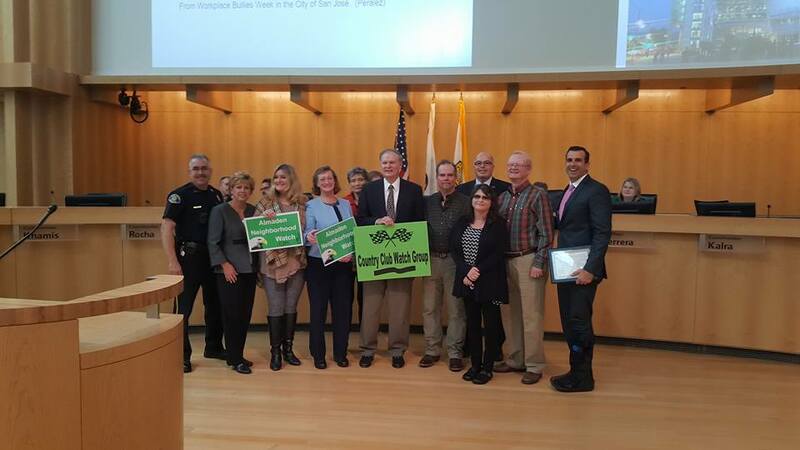 This week the City Council also recognized the Country Club Watch Group for their innovative leadership and commitment to making their neighborhood safe. 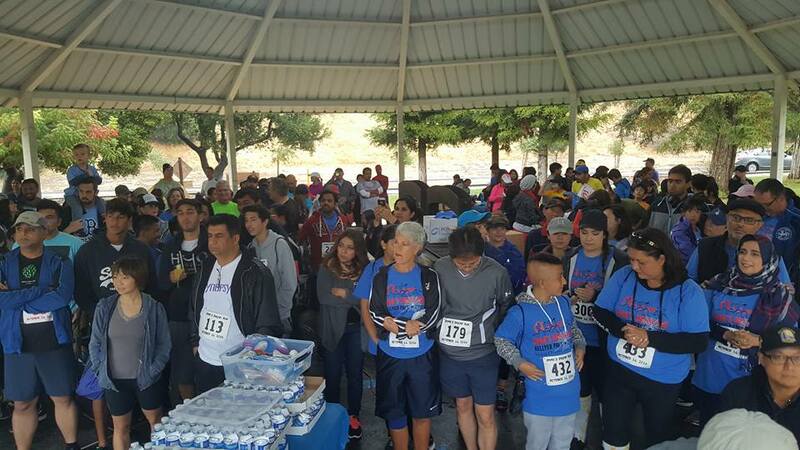 Even though it rained this year, hundreds of residents participated in this year's Omar's Dream Run! 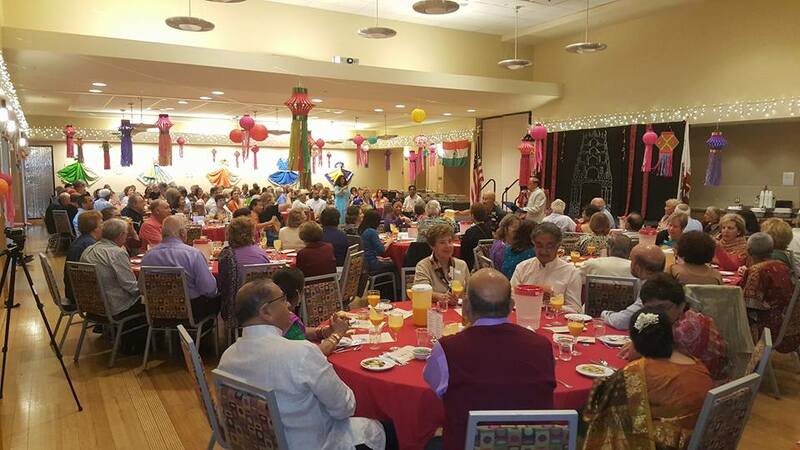 Another wonderful Diwali Festival took place at the Almaden Community Center. Thank you to the Almaden Senior Association for putting on a fantastic event! 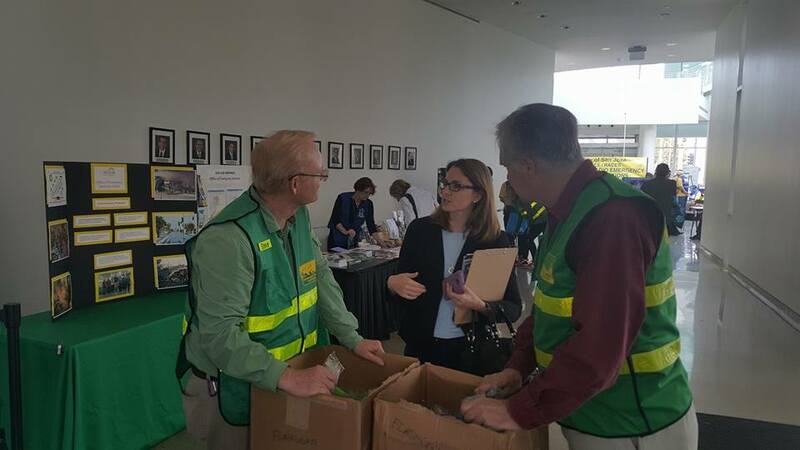 The Community Preparedness Fair at the City Hall Rotunda was filled with great resources and vital information. 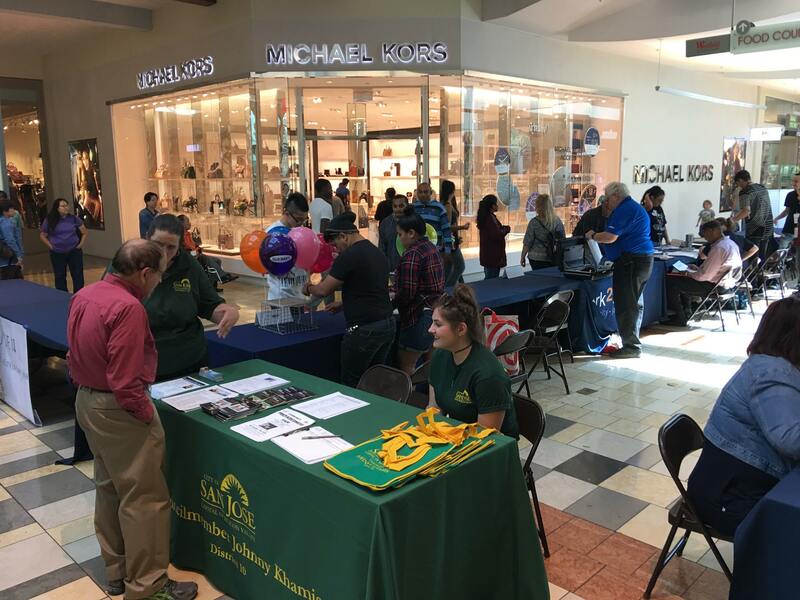 Thank you work2future, Mayor Sam Liccardo, Councilmember Don Rocha, Councilmember Tam Nguyen and all of the participating employers for making our Youth Job Fair at Oakridge Mall a success! 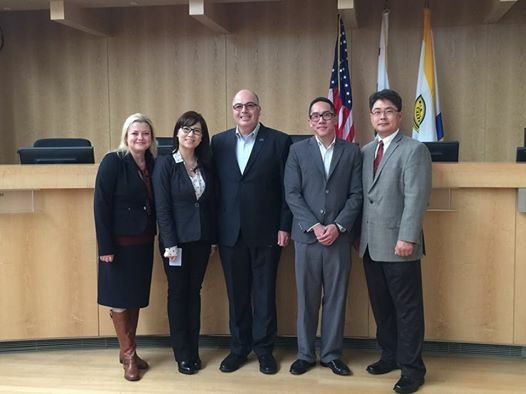 This month, it was great to welcome a team from Supermicro - a fast-growing San Jose-based employer - to City Hall! Thank you for doing business in San Jose and providing employment opportunities to our residents! On October 16th my Council colleagues and I proclaimed National Retirement Security Week where we reminded employees and residents to make retirement savings a priority.